This center action comic page is perfect for longer graphic novels. It includes two top boxes, a large middle box, and two bottom boxes. 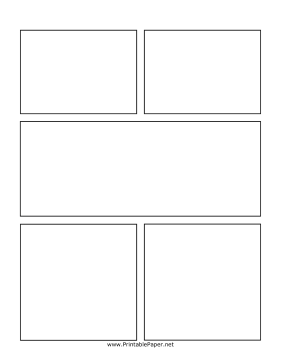 This page can be combined with other blank comics pages to tell longer stories.